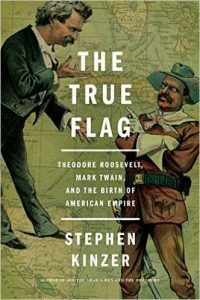 Stephen Kinzer, The True Flag: Theodore Roosevelt, Mark Twain, and the Birth of the American Empire (New York: Henry Holt and Company, 2017). The American empire is usually not spoken of as such within today’s current mainstream media discussions, but is generally recognized as such during infrequent candid moments, and within discussions in much of the alternate media. The discussion is not new, and the factors within the discussion, while changing somewhat with the times, tend to have remained the same. Stephen Kinzer’s illustrative new history, The True Flag, takes the reader back to the turn of the Twentieth Century when the first acts of overseas empire were argued and acted on. It can be argued that ‘empire’ starts with the first movement across the continent by the new United States, incorporating, by various means, Florida, the Louisiana Purchase, the northern half of Mexican territory, and the lands of the native population. 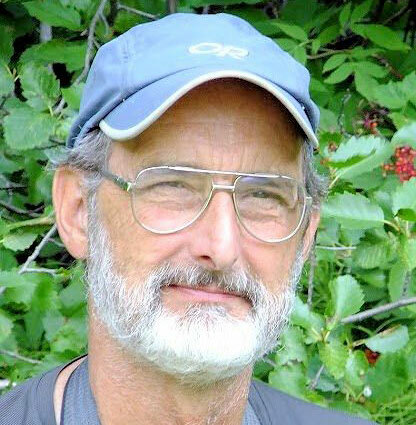 Kinzer acknowledges all that indirectly, as do some of the characters in the history, but his focus is on the pivotal years of 1898 to 1901 when the arguments concerning overseas territories focused on the Spanish empire in Cuba, Guam, Puerto Rico, the Philippines, and the then sovereign state of Hawaii. The writing is history at its best. Kinzer writes an interesting history with a casual anecdotal style of reading rather than the more common dry textbook style. While doing so he gives the reader a sense of the actual personality and characteristics of each person within the narrative. As the story unwinds, these personality traits become as important as the actual facts of what happened, the latter having devolved form each individual’s interests and intentions. The title highlights Roosevelt and Mark Twain as the prime protagonist/antagonist pair. The history itself presents a significant group on either side: McKinley, Hearst, Lodge, and Roosevelt promoting empire; Hoar, Carnegie, Bryan, and Twain opposing the annexation/conquest of overseas territories. Many other characters come into play, but his group displays the personal characteristics that helped shape the overall argument. The themes of the arguments are surprisingly familiar to contemporary empire critics. The racist nature of U.S. endeavors runs throughout the discussion, ranging from the idea of “benevolent assimilation” allowing the “blessings of good and stable government … under the free flag of the United States” to “the misguided Filipino” (McKinley), but more strongly worded in the sanctimonious terms of “savage tribes” and from the military commander in the Philippines, a people “in the childhood stage of race development” (Roosevelt). Sound familiar to today’s rhetoric? So do the underlying rationalizations and apologetics for empire. The Filipinos “shall for ages hence bless the American republic” for their “emancipation” not just from another empire, but from the “arrogant rule of a native dictator.” On the other hand, when the fighting became bloody and fierce, the insurrection fighters were attacked as “They assailed our sovereignty” (McKinley), while the anti-imperialists at home became “complicit in the killing of U.S. soldiers” (Roosevelt). Rally ‘round the flag boys. The reality underlying most of the rhetoric was markets, resources, and profits, much as it is today with the U.S. concern for maintaining its petrodollar hegemony. With the U.S. in an economic downturn and millions unemployed (still familiar? ), the imperialists argued that “commerce would have to be protected, or imposed on unwilling nations by naval power … [fusing] America’s commercial and strategic interests into a global strategy.” Empire would create “outlets for the surplus” and guarantee America’s “commercial supremacy.” Cuba was already mostly owned by fruit and sugar farmers, and the Philippines represented a market of 10 million citizens who would be educated to the U.S. manner of consumption and also would serve as a stepping stone into Asian markets. The anti-empire people obviously lost the argument—perhaps not the argument, but certainly the reality. Their central focus was the adverse effects overseas acquisitions would have on the very nature of the Republic that would eventually lead to its decline and its dislike and distrust by much of the world. In that sense, yes, they won the argument, but not the reality. Similar to his other works, Stephen Kinzer presents an easily readable, entertaining, and informative history of these important years. The True Flag is an important addition to not only understanding this particular time of imperial expansion, but also as a basis for understanding most of the subsequent events leading up to today’s aggrandizing imperial rhetoric – it is not new.